Usually summer approaches gradually with the occasional hot day mixed in with the pleasant spring weather. This year, however, the Northeast feels different. Summer arrived in an instant accompanied by very humid and warm weather. Plus, we’ve have the pleasure of daily thunderstorms complete with torrential rain. Combined with our previous wet season, at Aqua Pool & Patio, our team of professionals is observing a massive uptick in water clarity issues among our clientele. We are here with a public service announcement that it is critical to stay on top of your weekly shock treatments to maintain healthy, clear water. Typically people shock their pools once every other week but in extreme conditions like the weather we are experiencing, this frequency needs to be bumped up to once a week. For reference, other instances where increasing the frequency of shock treatments includes large bather load and extreme rain. For those that don’t know, shocking your pool is a critical component of your pool maintenance and water care routine. The treatment itself refers to a process of adding chlorine to your water to raise the levels of free chlorine available to destroy contaminants such as algae, bacteria, and chloramines. We are always here to answer any pool-related questions and help you troubleshoot your process. 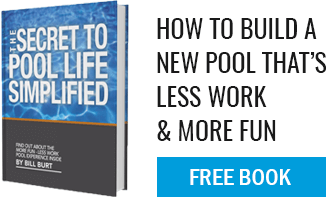 When it comes to shocking your pool, your goal is to raise the chlorine level in your pool to break point chlorination. This is essentially ten times the combined chlorine level. This enables free chlorine particles to eliminate contaminants and ensures the health of your water. With the recent weather, if your pool looks cloudy or murky, this is a bad sign. Give us a call and allow our professional team to help clean up your swimming pool so you can get back to swimming once this rain quits and enjoy your summer!